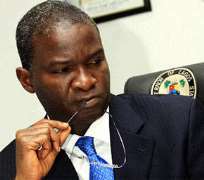 Lagos State Governor, Mr. Babatunde Fashola (SAN), has barred his ccommissioners from the use of sirens. He said that members of the State Executive Council (SEC) caught using sirens within the state would lose his job. Fashola handed down the order while addressing stakeholders in the transport sector including the Minister for Transport, Senator Idris Umar at the opening ceremony of the 13th National Council on Transport held at Civic Centre, Victoria Island. The governor called for concerted actions against the arbitrary use of siren and horns in the country, lamenting health and other social implications resulting from the use of loud horns and sirens. He said, 'We use loud horn especially the one used during emergency. Are we in a state of perpetual emergency? If those who manage the public transport policy can get away by using sirens, it will never work,' he said. He said he had never used sirens since he was elected into public office in 2007, saying 'from the day I became the Governor of Lagos State and until this moment, I have not had course to use it. I do not intend to use it. I detest noise. According to him, 'But I think it is even worse because people elect us to manage public transport on their behalf. We choose to escape from it. After riding in a free car paid for coupled with the free fuel, it is an abdication of duty. It must apply it across the board. 'At least, at the state level, I can speak. My commissioners have a very clear order; they will lose their job if they do. Every form of unqualified person passes through our security post in a siren. We expect to be safe and secure. The governor at the occasion faulted the power of the National Inland Waterway Authority (NIWA) to regulate the water transport services within the jurisdiction and territory of a state. He said it was unacceptable for NIWA to require the state government 'to take a permit from it before I set up a jetty in my own lagoon. We will not stand for that. I find it objectionable where NIWA suggests to me that before we can build the Lekki-Ikoyi link bridge over a lagoon inside our state, I should come and take a permit to build bridge for the state residents. We will not apply for such permit. These are some of the issues we face. I must say are very important under in implementing some government policies. Also speaking at the council meeting, the minister explained that the federal government had rolled out a comprehensive programme to rehabilitate existing railways across the federation. The minister said consequent upon the completion of rehabilitation work on the Lagos-Kano narrow gauge, passenger/cargo operations commenced in December 2012, while container movement from Apapa Port complex to Kaduna and Kano commenced in August. He said works 'are ongoing to complete the rehabilitation of the Eastern Narrow Gauge Line, Port Harcourt-Aba-Umuahia-Enugu-Makurdi-Lafia-Kuru-Bauchi-Gombe-Ashaka-Maiduguri with lines at Kuru to Jos, Kafachan and Kaduna. Under the railway modernisation programme, Umar said the construction of Standard Gauge from Abuja(Idu)- Kaduna has attained 68 per cent completion, while the Itakpe-Ajaokuta-Warri Line has attained 77 per cent completion.